Wandering through the looking glass. Can we find our way back? Is nothing everything? As strange as that question looks at first sight, it will definitely make sense after reading NOTHING MATTERS. Provocative and accessible, free of jargon, NOTHING MATTERS shows that there is more to nothing than meets the eye. History, the arts, philosophy, politics, religion, cosmology – all are touched by nothing. Who, for example, could have believed that nothing held back progress for 600 years, all because of mistaken translation, or that nothing is a way to tackle (and answer) the perennial question ‘what is art? Time seems to flash by when we are enjoying ourselves, and slows to a crawl when we are bored. Why? Does time exist, or is it an illusion? Does it flow? Is it linear? How real are our memories? When is now? 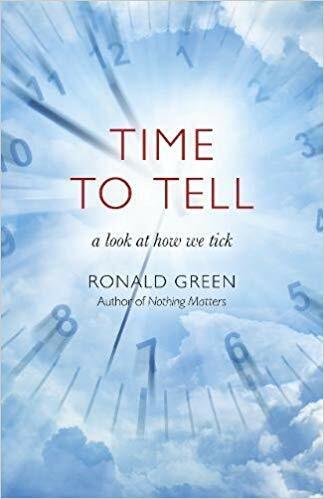 These are just some of the questions that Time To Tell asks in its foray into what time is for us, what it does to us and for us, and how we live and react to it in our daily lives. Digging down to the roots of our lived experience in the world, Time To Tell takes us through a journey replete with twists and turns and “aha!” moments. Challenging the obvious, the book asks us to look anew at our perspective of what we naturally take for granted. 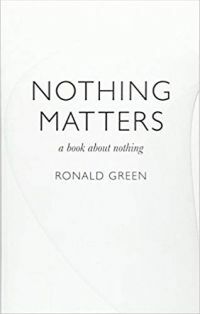 Rattling the comfort of instant satisfaction, of reality shows, celebrity worship and the self-glorification of the I-generation, Ronald Green, with panache and authority, takes us on a journey that allows us a new way of looking at ourselves in the world, and to act upon what we discover.